I have been shown “the light” so to speak, from the recent events in the market, debate on public policy and the economy. In a democracy “the issues” are not the issue; the issues and their solutions are much too complex for the average guy. Who knows how the economy works and why lending to an insurance provider (AIG) has anything to do with my job? All it boils down to is this. Can we trust the bald guy with specks? I could argue that Secretary Paulson is an Harvard MBA, was a well reputed trader at Goldman, and went on to be a very successful CEO of Goldman. But that doesn’t inspire trust, he knows more – we know less, and we know where that leads. I could argue about his recent actions in the market. How he led the successful conservatorship of Freddie and Fannie to keep the markets functioning? 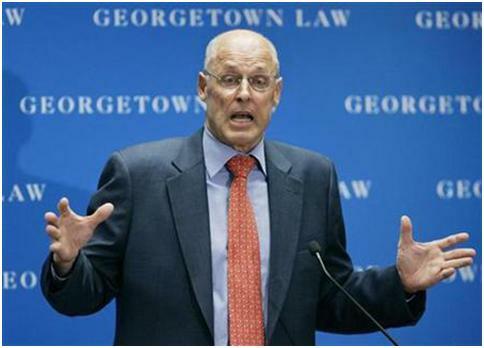 How he did not hesitate to let Lehman fail? And how he struck a hard bargain (check with the shareholders at AIG) when he absolutely had to lend to AIG? But then again who knows what his “real motive” was and how much “really” the suits made? I could argue that most traders and brokers, who probably understand the markets best, agree with Paulson. But they are the ones that can benefit from his plan. Well, I could say most economists and academicians see merit in his plans. But we already have an academic as the head of the Federal Reserve and that didn’t do us much good. So here are the facts that really matter and are easily verified. He is bald. We can see that. He wears specks, we can verify that. Hmm .. where does that leave us? 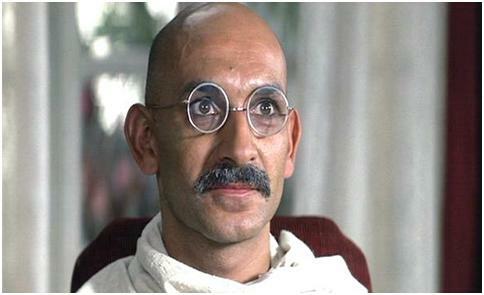 Hey, I know a guy, bald and with specks, who worked out really great for us Indians.